Our Lip and Cheek Enhancement course combines two very popular areas which can work in harmony together for beautiful facial procedures. Lip Enhancement – Becoming an experienced injector is critical for carrying out successful lip enhancement on patients because of the artistry and skill involved in the procedure. Cheek Enhancement – Cheek enhancement is an essential component of your aesthetic skill set. The procedure is a highly effective way of making people look younger, but also more beautiful. SkinViva Training’s Lip & Cheek Enhancement Course will train you in essential aspects of these procedures to enable delegates to develop a more advanced practical and theoretical knowledge of these complex and artistic treatments. Like all of our courses, we will train you how to consult and assess your clients so that you deliver a tailored treatment and achieve the best possible results. We will also share with you the essential artistic principles that will help you design treatments that fit each face using a simple 5 step assessment process designed by our Clinical Director, Dr Tim Pearce. We also teach you industry leading safety protocols to greatly limit the chances of your patients having unnecessary complications and side effects. Trainees often express a much higher degree of reward as a result of this course – nothing quite beats the feeling of helping someone become more beautiful before your eyes! This SkinViva Training course is fully accredited by the CPD Certification Service. Trainees attending this course can expect to leave being confident with the Juvederm Ultra range of products and Juvederm Voluma and Volift products from the long-lasting Vycross range and the required consultation and treatment techniques for lip enhancement, lip revitalisation, lip augmentation and cheek enhancement procedures. Provide refresher knowledge of facial anatomy with specific focus on the lips, cheeks and facial nerves. 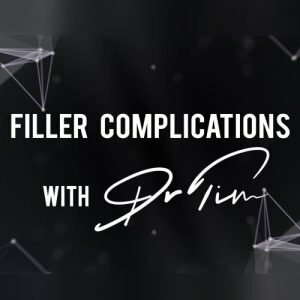 Highlight differences between the various brands of dermal fillers on the market that can be used for lip augmentation and cheek enhancement. Provide an understanding of how to conduct a thorough consultation and assessment of the patient to ensure a safe, comfortable procedure that delivers maximum results. Provide knowledge of possible side effects, complications, patient concerns and learn how to address them. Teach our trainees how to give patients a natural looking result that provides an essential balance between delivering volume/fullness of lips whilst enhancing the natural contours and shape of the lips and cheeks. How to limit complications through learning safe angles and depths of injections and techniques that substantially reduce risk. Free and exclusive access to our highly active online community for post-course support, questions and debate. High model to delegate ratio – plenty of expertly supervised practical experience with real patients. Unique algorithms in the theory course give you certainty when you start on your own. Dedicated fully-equipped modern clinic environment. Previous dermal filler experience post foundation training is required for this advanced course, where a honed injection technique and a lot of precision are required. We recommend trainees should ensure a minimum of 2-3 months carrying out basic dermal filler procedures prior to attending this course. As a guide a minimum of 10 dermal filler injections should have been completed post foundation training. Your trainer will work with you to help you meet the required standard for each of these criteria. Delegates not able to meet one or more of the criteria will be asked to resit their training on a different date at additional cost. Successful completion of the criteria results in a SkinViva Training certificate, which is issued at the end of your training day. Note – standard course price £1,195. £100 saving applies for weekday courses. * Payment Options – you can choose to pay a deposit of just £299 and spread the cost of your training, providing the balance is clear at least 4 weeks before attending the course. More about payment options. I attended the foundation course in Botox and Fillers and then the cheek and lip filler course in December 2017 and in January 2018. Dr Ahmed taught both courses and he was a wonderful teacher. He was very kind, patient and able to answer all questions. At first I was very anxious but through Dr Ahmed's expertise and compassionate approach I felt confident and happy by the end of the training. Thank you to SkinViva and Dr Ahmed for providing such a fabulous training day with ongoing support. I did my foundation training with skinviva just under 4 years ago and they’ve really helped me get going over the last couple of months! After not feeling confident when I first did my training and therefore not doing anything with it I felt like it was a total waste but I contacted the team and they gave the confidence and support I needed and more! I had a really good day doing lips and cheeks today too! Gained a great amount knowledge and enough confidence to get me going and also had a laugh at the same time! Would definitely recommend! Attended Lip & Cheek Enhancement with Dr Ahmed he is a fantastic trainer, very knowledgeable , keeps everyone relaxed, fantastic results and happy delegates. Would recommend, to anyone. All the staff were friendly, plenty of hands on training, nice venue and good food. Will be back for more training and will recommend to others. Thanks Again!! Attended the Lip and Cheek Enhancement course yesterday, loved every minute of it. We were taught by the fabulous Dr Nicole Chan who took her time to explain everything in depth and answer all my questions. Walked in nervous and worried and walked out ecstatic and excited to start practicing. Thank you so much Skinviva hmmmm what course next? It took me quite some time researching on the web various course providers and having not had any previous experience with cosmetic medicine I was very skeptical. Skinviva seemed to be ticking most of my (very demanding) boxes when I looked them up, so I thought I’d give it a go! It was one of my best decisions ever – great pre-course support, very informative and hands-on foundation course day, excellent and invaluable post-training support through the facebook closed group, very ethical team having their clients’ and trainees’ interest at heart! These guys have got a medical cosmetics vision and they’re taking their role seriously! I couldn’t have asked for more and yet their post-training support is endless. I completed the foundation training in April and Lips & Cheeks yesterday – another excellent course; already flirting with the idea of the next step. A message to the skeptical candidates: go for it, you’ll never regret it! I researched the different cosmetic courses extensively and booked withSkin Viva, firstly for the friendliness and ease of answering all my questions, secondly the fact it was a bit nearer for me as I am in Newcastle Upon Tyne and it seemed the most professional. I was correct, when I did my combined Botox and Fillers course it gave me the confidence to commence and on Tuesday I did the Cheek and Lip course which was a mazing with Dr Sharan. She was very precise but also had the ability to give you confidence. She was extremely knowledgable and very good with her clients. A great experience, don’t hesitate to book with them! Absolutely enjoyed my cheeks & lips training day with lovely Dr Felicity. Learned so many practical techniques which are invaluable, it just takes my injection skill to the next level. Feel more confident with the standard of the treatment I’m able to deliver to my clients. I am proud to be trained by the best practitioners in this industry! Hi, I trained somewhere else to inject dermal Fillers in the lower face and have been practising for a year. I would love to learn new/different techniques of injecting the lips and add cheek enhancement to my portfolio. Would this be the right course for me? Hi Rachel, it does sound like it could be good for you. The best thing to do would be to chat through your previous training and experience with our team. You can call us on 0161 850 2491 or email info@skinvivatraining.com. They will be able to check your eligibility for our courses and advise on the development courses that would be most suitable for you. Can you tell me with the lip and cheek masterclass, if this covers using a cannula? I really would love to do this course but safety wise, I need to train in cannula as a priority and I will need to do this instead if its not covered. and Cheek Enhancement one), as that is totally dedicated to cannula skills. You can find more information with prices and availability at https://www.skinvivatraining.com/courses/cannula/. Feel free to contact our team on 0161 850 2491 or email info@skinvivatraining.com if you’d prefer to chat through the options first. Hi, we have courses running all the time – see our list of course dates. We use live models at all our practical courses. You can see prices and apply to be a model here https://www.skinvivatraining.com/models/. Our models booking team will then get in touch and they will be able to advise you on specific availability, depending on what sort of treatment you are looking for. Thank you for your comment and excellent feedback. We will forward your query to the team and somebody will get back to you direct with more information. I am interested in doing the cheek enhancement course (but have already completed a lip course). I have noticed that there are many spaces for a lip&cheek course, but no upcoming courses for lips alone. Will there be any upcoming courses for cheek enhancement? Or any options to join a lip&cheek course? Hi, our confirmed courses are listed on our Course Dates page. You’d certainly be welcome on a Lip & Cheeks course, or another option may be a tailor-made 1-2-1 training session. We may also be arranging a Cheek Enhancement course later this year. Your enquiry has been passed onto our team, who you can also contact on 0161 850 2491 or via email info@skinvivatraining.com to discuss your requirements and work out what’s best for you.